Seasonal fruits make great treats for dogs. 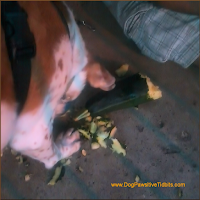 My dog Valentino enjoys some fruits raw while showing a preference for others to be cooked. Two of Valentino's favorite fruits are zucchini and pumpkin. Valentino considered this summer garden gift to be a great dog treat. He prefers the zucchini raw. He shreds it, removing the peel, eating only the meaty flesh inside. Obviously, some dog treats double as a great chew toy too! 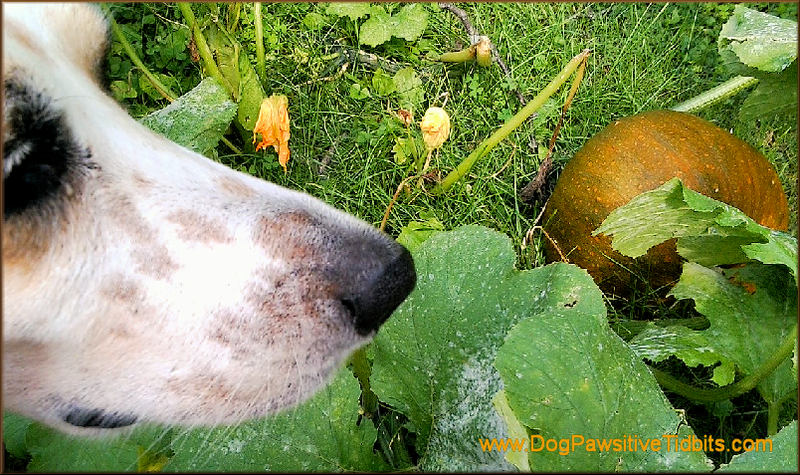 As autumn nears, Valentino and his hound dog nose sniffs out a pumpkin patch on a neighborhood walk. My dog prefers organic canned pumpkin mixed in with a tidbit of dry dog food. Does your dog enjoy eating seasonal fruits as a special treat? Share your dogs and their favorite fruit treats. Join the seasonal fruits for dogs linkup today! 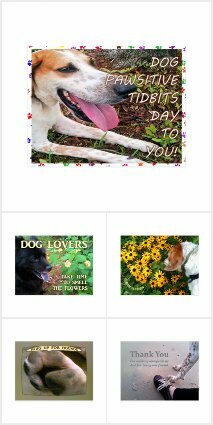 Get the InLinkz code for your pet post.